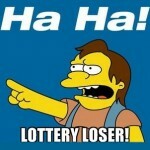 Stories of people who win a fortune and then lose it all are quite common if you read lottery news sites often enough. Often, the person will play a lottery game, win a huge amount and then end up penniless in a relatively short space of time, rueing their loss. 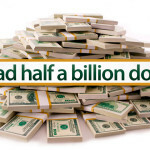 It’s a story that might provoke sympathy in some, but not for others who feel that if people win such a large amount of money they should do something positive with it, or invest it wisely to prevent any issues like this from occurring. Sometimes, though, a lottery story of the same ilk feels slightly different and the person that wins then loses comes out of the other side a different person. That could be said of Callie Rogers, the UK’s youngest lottery winner who lost it all. Read on to find out about her remarkable story. 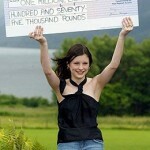 Callie was just 16 and living in foster care in Cumbria when she scooped the life-changing sum of £1.87 million way back in 2003. Hailing from Cockermouth in Cumbria, she was working on a checkout in a store, earning £3.60 an hour. She quit her job straight away and bought her own home. However, fifteen years later all the money has gone – but Callie says she is infinitely happier. She bought a £180,000 home for herself, but threw away a lot of the money, including spending £250,000 on cocaine. Frittering money on designer clothes, she also had breast enlargements and gave £500,000 to family and friends. Since Callie’s win and since she lost it all, Callie has called for the age limit to be increased for the lottery. She said from her own personal experience it had become hard to know which of her relationships were real or fake and had become increasingly depressed after people used her for their own ends. She spoke movingly about trying to take her own life when things got too intolerable. She said that the organization behind the National Lottery, tried to help her after her big win, but that she didn’t take their advice because she was too young to know any better. Minister for Culture Tracey Crouch has said that the Government is reviewing the age limit of 16, and it could be raised when the license is reviewed in five years’ time. Now fifteen years have passed and Callie, who is now aged 31 is struggling to make ends meet and shopping in budget supermarkets. She is now also a proud mother to a son named Blake, who was born with the condition of Cerebral Palsy. 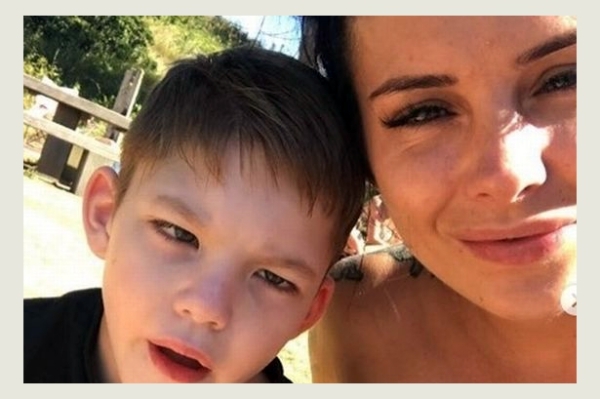 He cannot walk, talk or swallow unaided and she says whilst she has no regrets about losing the money from her own point of view, she does regret that she’s not been able to help Blake as much as she could. Callie also spoke candidly about numerous former friends who turned on her and in recent weeks two of them appeared in court after being accused of savagely beating her. Thirty-seven-year-old Marie Hinde and twenty-six-year-old Jade Quayle are now facing jail after admitting they assaulted Callie, a court heard how they punched and kicked the lottery winner at a former boyfriend’s house. The two have admitted assault. The pair, both dog sitters, now face jail for their attack on Rogers. Reports from the time of the assault said they dragged the mum around a living room “like a rag doll” and left her bloodied and needing hospital treatment. When she arrived back, her boyfriend was not home but Hinde and Quayle, who had been dog sitting, were. A row ensued and they attacked Callie. They are due to be sentenced on September 14th. Roger’s story highlights some interesting issues with regards to how the Lottery is operated and regulated. It seems that in her case at the age of sixteen she was far too young to have such a large amount of money put into her hands. She refused help to invest it, or manage it properly and most of it was lost to drugs and cosmetic enhancements which have made little difference to her overall way of life in the long term. It raises questions as to how young is too young to be placing money on lottery draws. There are always going to be those youngsters who are mature enough to handle the fame and fortune that follows, but some, like Callie, are not well enough equipped to deal with what follows. Though she now says she is a lot happier now the money has gone, she has a lot to cope with, in her life living with a disabled son and she does regret that the money isn’t there to help him with healthcare and the stimulation he needs to get the most out of his life. Whilst the news that the Culture Minister is going to look into decreasing the age at which young people can buy lottery tickets, it won’t happen immediately, and any decision may take five years to come to fruition. In that time, how many other youngsters might face the same problems as Rogers did? She has come out the other side of her win with a relatively mature head on her shoulders and facing up to an assault is a lot to deal with as well. It can only be hoped that other youngsters who hope they and play and win it big take a long hard look at this story and see if it makes them think twice about what they are potentially letting themselves in for.